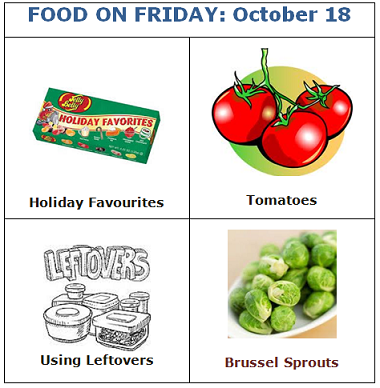 As you can see, there are 4 new themes – Holiday Favorites, Tomatoes, Using Leftovers, Brussel Sprouts. I hope you'll find some great stuff to share in those categories. I'll be pinning your creations to the relevant Pinboards – Holiday Favorites, Tomatoes, Using Leftovers and Brussel Sprouts. Feel free to add a number of dishes under each category and come back later in the month to add more if you would like to. Hi Carole, thanks for inviting me over. What a fun collection of recipes today! Thank you for Hosting, I entered my name on 29, but I then put in 30, you can remove 29 if you want. Thank you again. Hope you've have a wonderful weekend and have a great week ahead. Cheers!